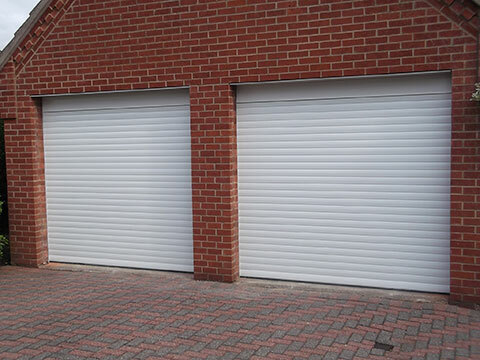 Here at Chapel Doors we have been installing a wide range of roller shutters garage doors for a number of years. Our made to measure insulated & single skin roller garage doors give you space saving vertical operation allowing you to drive right up to the garage door, thus eliminating the need to leave space for the outswing of an up and over garage door. 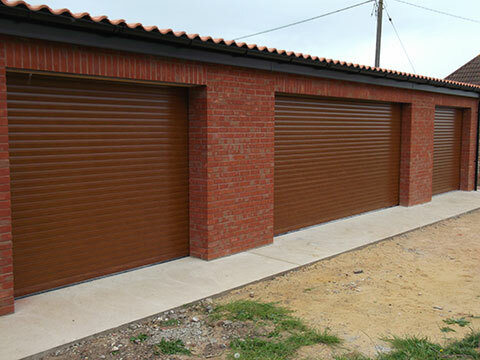 Roller garage doors fit directly to the brickwork giving increased width & minimising maintenance. 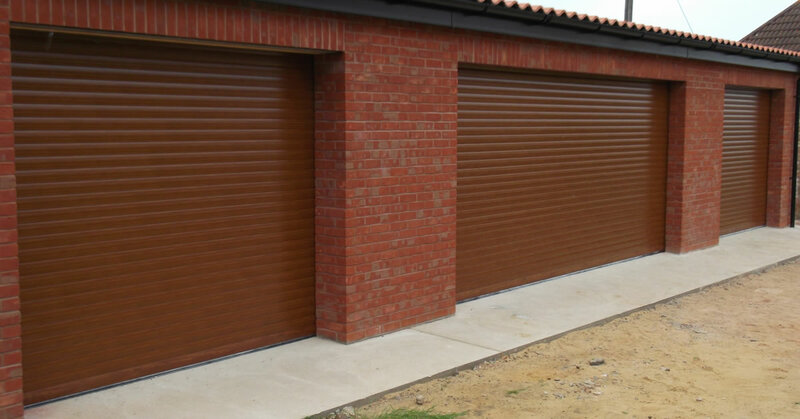 With a variety of colours and finishes, roller garage doors are a great option if you have minimal space. If you would like to see our full range, please call us for a FREE site survey, where we can go over all the options and give you a comprehensive quotation. The roller shutter garage door is one of the neatest garage door solutions available with vertical operation and no internal tracking mechanism in your garage at all. This ultimately provides you with more room on your driveway for parking and the option for additional storage space above where a standard up & over or sectional door would normally open. 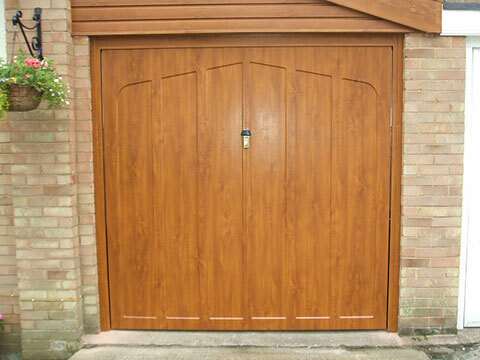 Roller Garage Doors provide plenty of space in front of and inside the garage. You can drive directly up to the door for parking and the ceiling area of the garage remains available. Roller Garage Doors are ideally suited for garage door automation and due to the nature of roller garage doors, can be customised to any size. Please click here to request a Roller Door Sample. 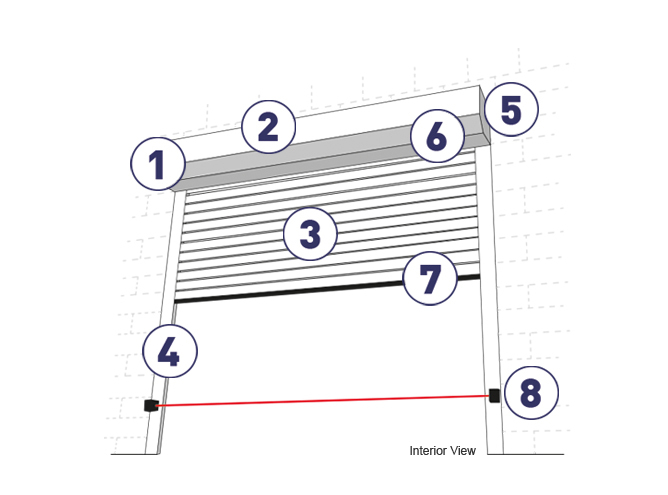 The diagram aside the typical installation position of a roller shutter door when installed inside the structural opening of the garage. When fitted like this the maximum width and height is normally achieved although a loss of garage length has to be considered. The diagram aside shows a roller shutter garage door fitted inbetween the structural opening and would normally mean fitting underneath the lintel as well. This position is quite normal but will not give such a wide drivethrough width or height when open. The diagram aside shows the roller garage door installed outside on the front face of the garage opening. This is unusual but gives maximum length, width and height in most cases. A complete hood cover is required to protect the curtain roll and this will need powdercoating along with the guides and endplates to complete the visual appearance. Powered by a fully CE compliant, single phase 240 volt tubular motor with a built-in manual override facility allowing the door to be operated manually in the event of mains failure. Premier Garage Doors are manufactured from a heavy duty, twin wall, CFC free foam filled aluminium profile. The use of foam provides strength and proven insulation values, reducing heat loss and exterior noise. Certified U Value of 4.73W/m2 K.
Our deep, heavy duty guide section provides safety and security against high winds and would-be intruders. The two brush strips protect the curtain from unnecessary wear and ensure smooth operation whilst also reducing heat loss and exterior noise. The fully CE compliant anti-fallback device prevents the door from freefalling when in the open position in the unlikely event of a motor failure. These heavy duty, anti-lift devices offer security against would-be intruders by preventing the door from being opened when in the fully closed position. A heavy duty extruded aluminium bottom profile complete with a deep rubber seal provides additional strength and protection against adverse weather conditions. The photocell detects physical obstructions by projecting an infra-red beam across the door opening. If the beam is interrupted whilst the door is in motion, the photocell will stop and reverse the door automatically. Safety is a fundamental concern with roller doors. Roller doors work on a chain system but at all times all moving parts are covered over meaning no trapped fingers. 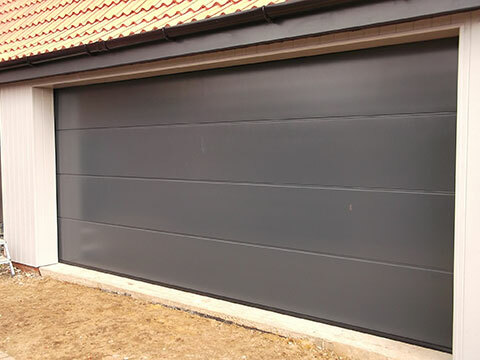 Our roller doors are fully CE compliant and can come with a leading Safety Edge collision detection and Anti-Fallback devices where required, meaning your garage door wont close on you or your car. Wide range of low maintenance colours, including textured woodgrain finishes to exactly match the latest generation of UPVC windows and doors. Tough paint finishes withstand daily knocks and bumps. A tight coiling curtain design and discreet optional hood covers maximize the drive-through height of your garage - ideal for larger vehicles such as 4x4s or people carriers. There is no intrusion into overhead storage space within the garage, and without the kickout of traditional 'up and over' doors you can park safely inches from the door. Due to the nature of rollers doors, their are no handles. All moving parts are generally inside and always covered making an attempt to break in difficult. The makeup of roller doors make them incredibly strong and tough. Insulated foam-filled slats, combined with superior guide rail inserts, bottom slat rubber seals and a curtain that finishes higher than competitor designs.